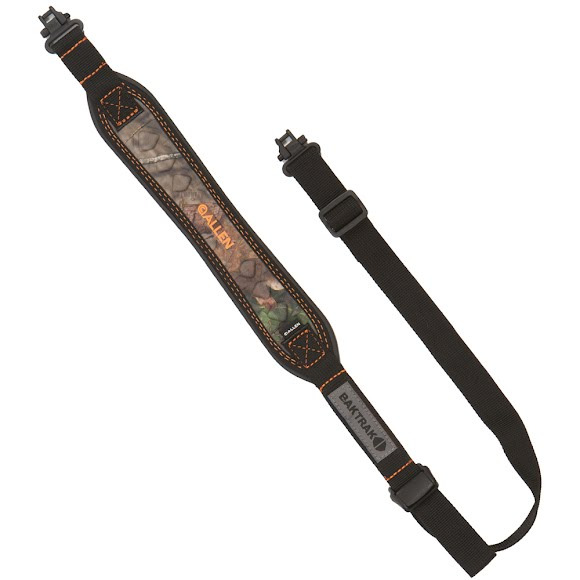 The Allen Co's Baktrak® Vapor Rifle Sling features hypalon with a Baktrak® extreme grip backing. This sling provides quick, one hand adjustment and incredible shoulder grip. The Allen Co &apos;s Baktrak® Vapor Rifle Sling features hypalon with a Baktrak® extreme grip backing. This sling provides quick, one hand adjustment and incredible shoulder grip.